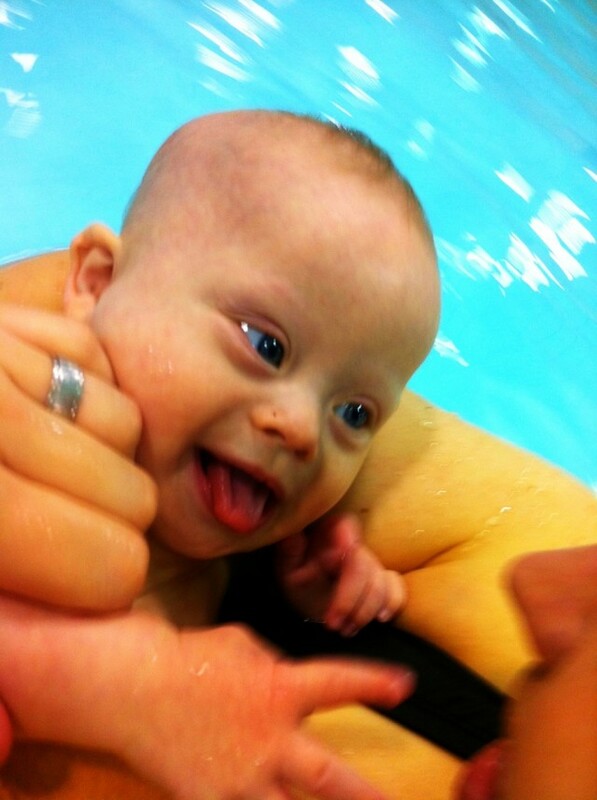 After last week it was clear that our little guy is a swimmer! Dallas Theology Seminary (where I’m currently finishing up my Masters of Theology Degree) gives students and their families a crazy good deal on a membership to Baylor Tom Landry Fitness Center. Tom Landry Fitness Center also has nice, big, heated pools; so we decided to take advantage of our membership today and take Noah for a swim! This little guy is having a ball! We had a blast today! This kid seriously gets cuter every single day. I can’t believe I helped produce a child this awesome! I think we have a swimmer on our hands! I did however get a little sad when we were leaving though. My wife and I were talking about his six month check up coming up this week this week. At the six month check up the Doctors order a Complete Blood Count (CBC) on our little guy. Children born with Down Syndrome are at a higher risk for leukemia then “typical” children, and the CBC will let us know how is blood count is, and if Noah has leukemia. I have known this test was coming since Noah was born, and I’ve been praying about it often, but I still don’t like thinking about it. I know that no matter what the results of the CBC is, God is in control, but it still scares me. A lot. But I also trust God. A lot. I’d like to ask you to pray for Noah this week, and that his CBC would come back clear. Either way, God knows what He is doing, and we trust Him fully with our sweet, little son, but I still am begging God like crazy for this test to come back negative. Thanks in advance for your prayers. This journey we’ve been on the last six months with our son has been awesome. My wife and I often wouldn’t change one thing about our son. Seriously, not one thing. God created this little boy. 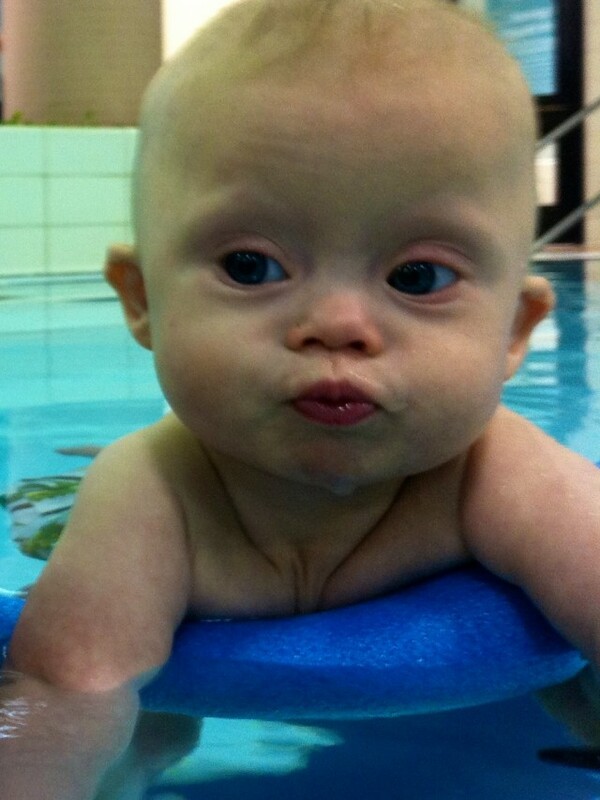 He knew all about his extra little chromosome way before we did. And he created Abbie, and I to be the perfect parents for this little guy. Our life, and our story is so much better because of Noah in it. Our prayer is that our family, and Noah’s story, would make much of our Great God. No matter what comes tomorrow, or 100 tomorrows from now – God is in control. He runs the show. He calls the shots, and we consider ourselves extremely blessed that God considered us faithful enough to tell a story like Noah. It’s humbling. Thank you for loving our family, and our son. It means more then you know. thanks for sharing this… praying specifically for the three of you. Thanks so much. We really appreciate that! I’ll be sure to keep everyone updated! Noah is a such a beautiful boy. I’ll definitely be praying for you. Thanks for the update. God blessed sweet little Noah with 2 awesome parents. Will be praying for the 3 of you.